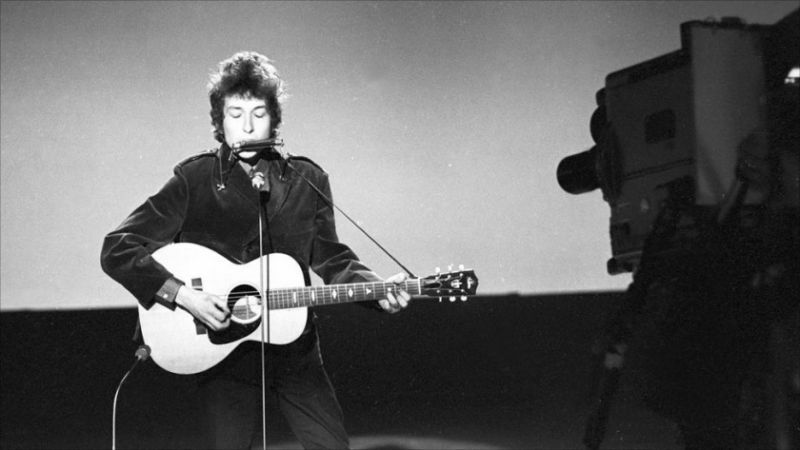 Dylan records two 35-minute TV programs for the BBC, which had outbid Granada for a Dylan TV special, only to then have a delay brought on by Dylan’s illness. During the rehearsals for the show, he tries an acoustic “Maggie’s Farm,” but decides not to attempt it for the shows. The BBC film one of the songs at rehearsal, “Mr. Tambourine Man,” but the footage is later destroyed. The two programs feature 12 songs, including three not featured in the then-current repertoire: “Ballad of Hollis Brown,” “One Too Many Mornings,” and “Boots of Spanish Leather.” Except for these three songs, the shows concentrate on newer material, featuring only “The Lonesome Death of Hattie Carroll” and “It Ain’t Me, Babe” from the first four albums. ..recording two half-hour TV shows for the BBC on June I; the twelve acoustic performances survive on audio but not videotape. The performances are fairly routine, uninspired, with the exception of “One Too Many Mornings” which is fresh and passionate. Dylan must have really felt a thousand miles behind by this point. In hindsight, the BBC-TV filming was the last stand of Bob Dylan, folk star. When he arrived back in the States the Byrds’ version of “Mr. Tambourine Man” was at the top of the charts. 1-6 broadcast by BBC TV-1, 19 June 1965. 7-12 broadcast by BBC TV-1, 26 June 1965. Robert Allan Zimmerman alias B. Dylan: A jewish boy = such meaningful songs, so touching. Thank you so much for making this available. I just listened to the playlist and find, no matter how often I have listened to these songs, to me they always seem new and I love them. Brian, if your tape is an upgrade on what is now available, you really should think of uploading it! It’s a historical document & should be heard in the best quality. Well it was an old Philips reel to reel and it was wired in a speaker and the quality is really good….but I don’t suppose I have listened to it since the 60’s. It is still in a box in a garage in the U.K. (I live in Spain now) I will get reound to it one of these days and I will compare the quality against what is out there. If it is better then of course I will up load to the world. Oh! 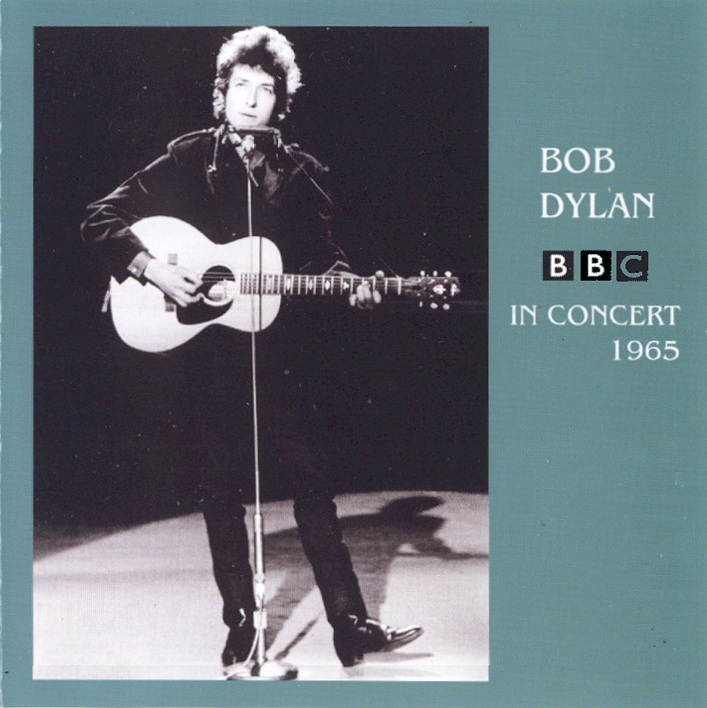 how I wish the film of theses concerts were avaiable….I sat a mesmerized 16 year old I had just got into Dylan. I had found what I was looking for. “The performances are fairly routine, uninspired, with the exception of “One Too Many Mornings” which is fresh and passionate. Dylan must have really felt a thousand miles behind by this point.” Come on Paul! You didn’t really listen to these songs and write that did you? The harmonica playing on these 12 great songs is some of the best I have heard. Listen carefully to the harmonica for example on She belongs to Me. The singing and the guitar work is also clear and beautifully delivered. This concert is a one man tour de force. Write these songs, sing them, strum them and then get the harmonica to sound like this! The audience applause tells us they are aware that they are in the presence of something very special in these performances. Paul Williams’ Bob Dylan: What Happened? (1979) is a fabulous read but he really missed it in his analysis of these great works. Bob Dylan is singing with his tongue on fire. I’m with you Doug.. These are great performances! Thank you Egil for giving me the opportunity to hear these 2 concerts again. I saw them when they were originally screened . Apart from Mr Tambourine Man the songs were new to me and unlike anything I had listened to before. It’s a pity the original programmes were destoyed. Unfortunately there were no video recorders in those days. I’ve listened to these songs often enough for the past fifty years, no kidding, and enjoyed today the superb performance, word for word, as if for the first time. Dylan for us. Thanks for the posting, Egil. Greetings from bella Italia ! Thanks for the comment Rajan.